A bill championed by privacy rights advocates, the tech industry, and the White House was suddenly blocked Tuesday night when it did not receive the necessary votes to proceed in the Senate. 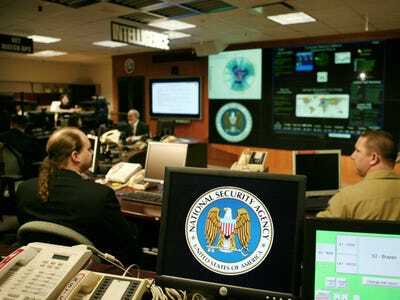 The bill, the USA Freedom Act, aimed to rein in some of the National Security Agency’s controversial surveillance programs, including its ability to collect so-called metadata in bulk. Many of these programs drew international attention when former NSA contractor Edward Snowden leaked documents revealing their existence in 2013. However, when the votes were all counted Tuesday night, the bill received 58 of 100 senators’ votes when it needed 60 to clear a procedural hurdle. Though the legislation enjoyed bipartisan support, including from conservatives like Sen. Ted Cruz (R-Texas), it also received criticism from both sides of the debate. Some privacy advocates, including Sen. Rand Paul (R-Kentucky), felt the legislation didn’t go far enough. In particular, Paul took exception to the extension of the controversial Patriot Act. “As Benjamin Franklin put it, ‘Those who trade their liberty for security may wind up with neither.’ Today’s vote to oppose further consideration of the Patriot Act extension proves that we are one step closer to restoring civil liberties in America,” Paul said in a statement after the bill failed. The Republican caucus was mostly united against the legislation. Sen. Marco Rubio (R-Florida), who like Paul and Cruz is looking at a presidential campaign in 2016, directly warned the bill would empower the Islamic State jihadists (also known as ISIS or ISIL). “As the rise of ISIL has demonstrated, the world is as dangerous as ever, and extremists are being cultivated and recruited right here at home. This legislation would significantly weaken and, in some cases, entirely do away with some of the most important counter-terrorism capabilities at our disposal, which is why I will not support it,” Rubio said in a statement. “Tonight, Senate Republicans have failed to answer the call of the American people who elected them, and all of us, to stand up and to work across the aisle. Once again, they reverted to scare tactics rather than to working productively to protect Americans’ basic privacy rights and our national security,” Leahy said. Update (8:27 p.m.): With additional statements and content throughout.